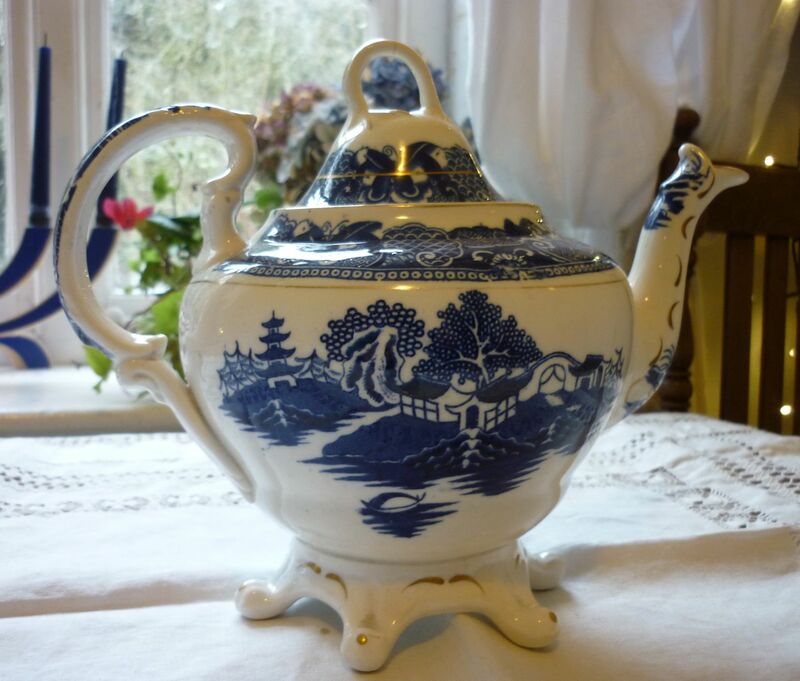 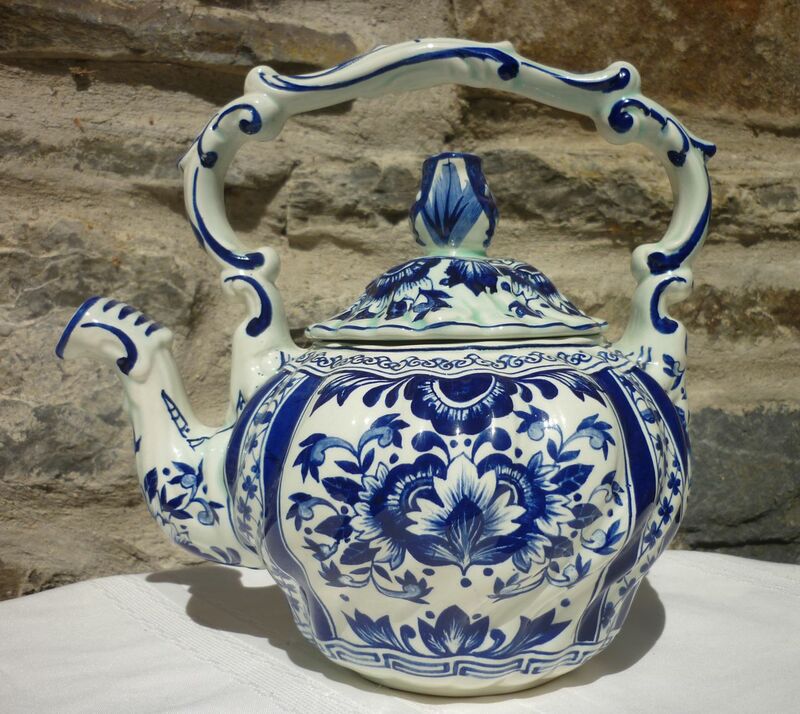 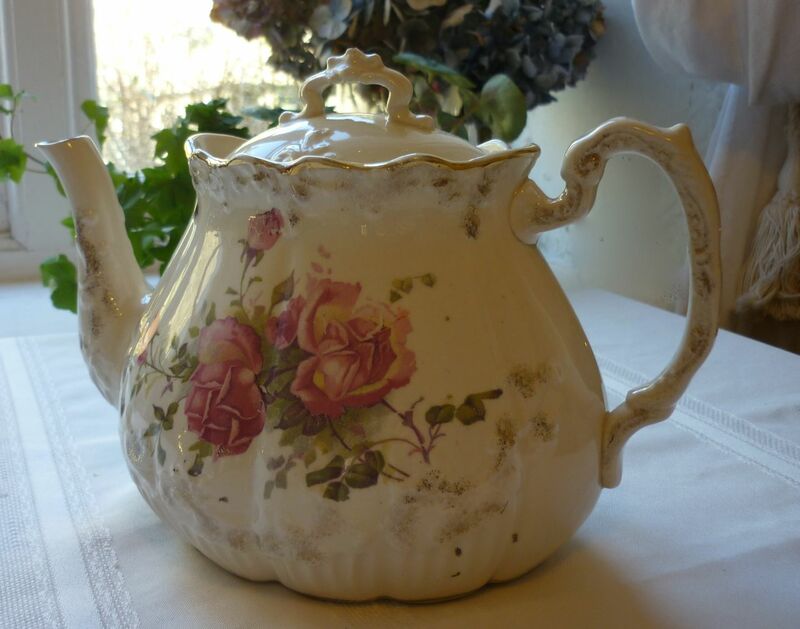 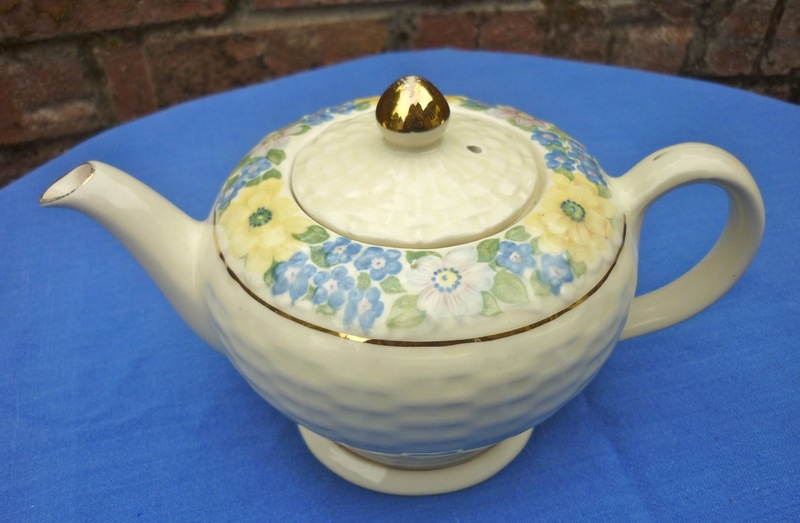 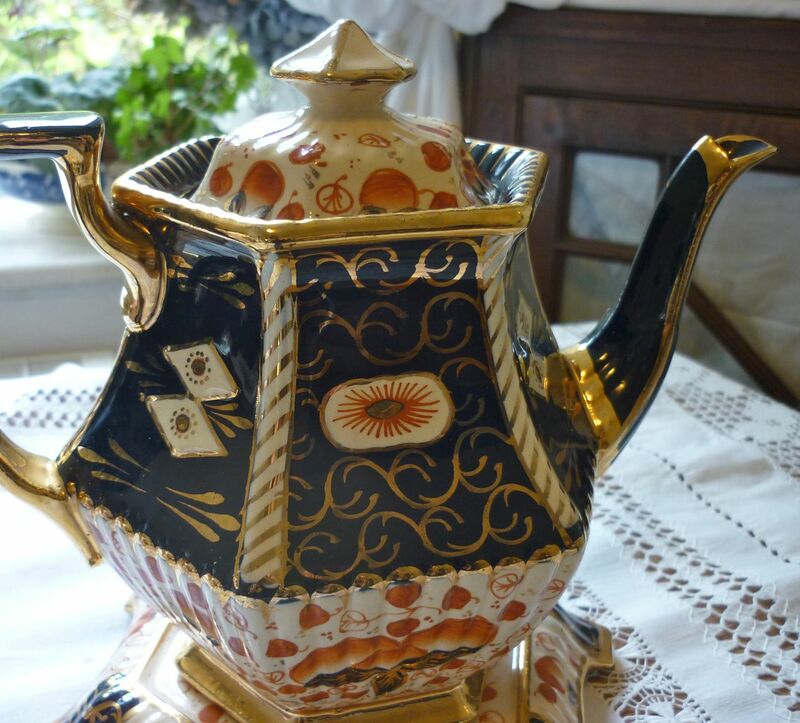 This brilliant tea set includes a tea pot and stand, hot water pot, milk jug and sugar bowl. 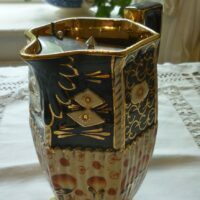 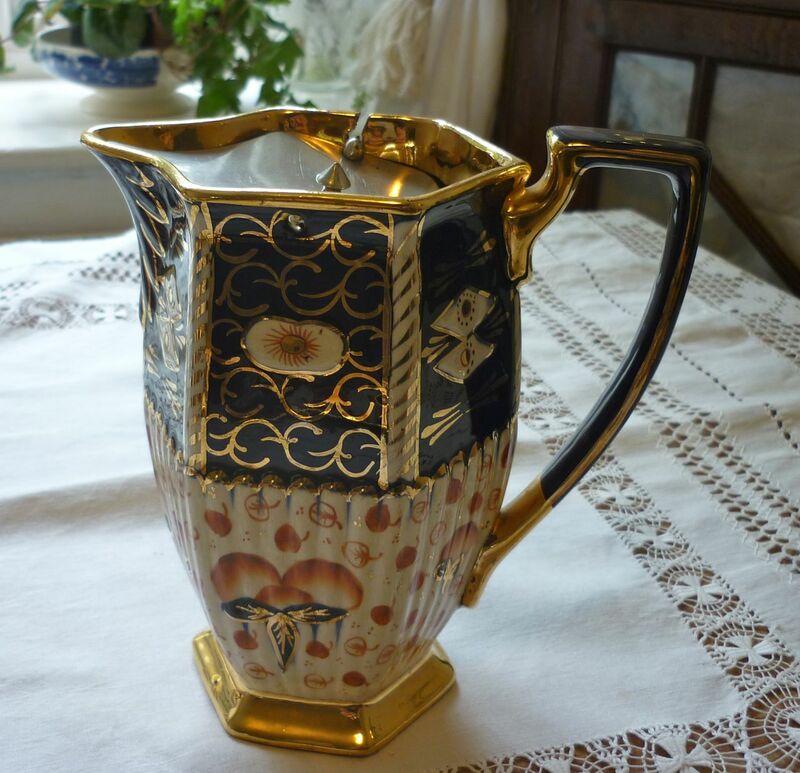 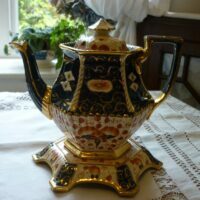 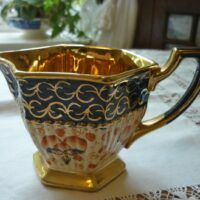 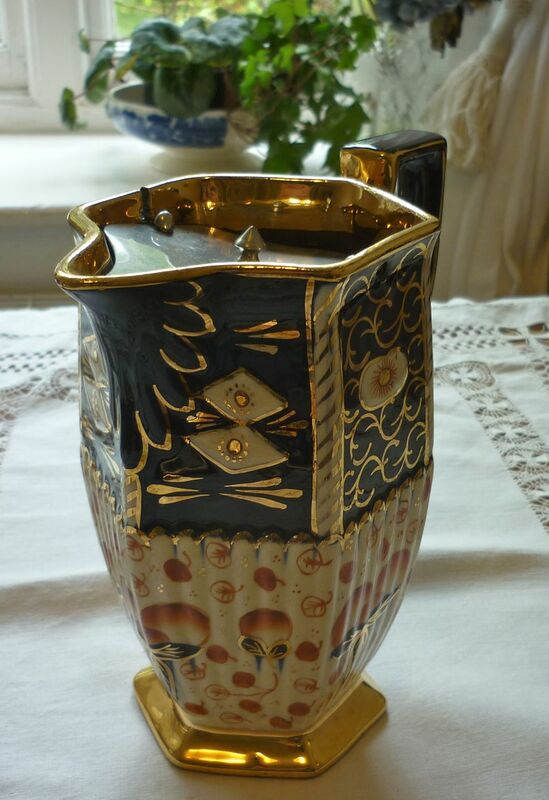 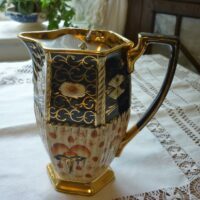 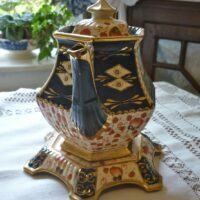 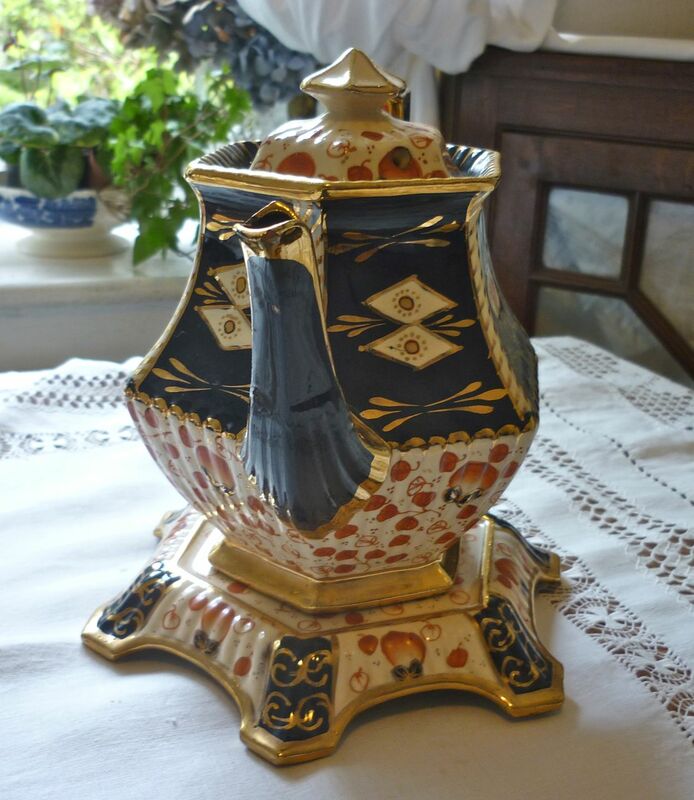 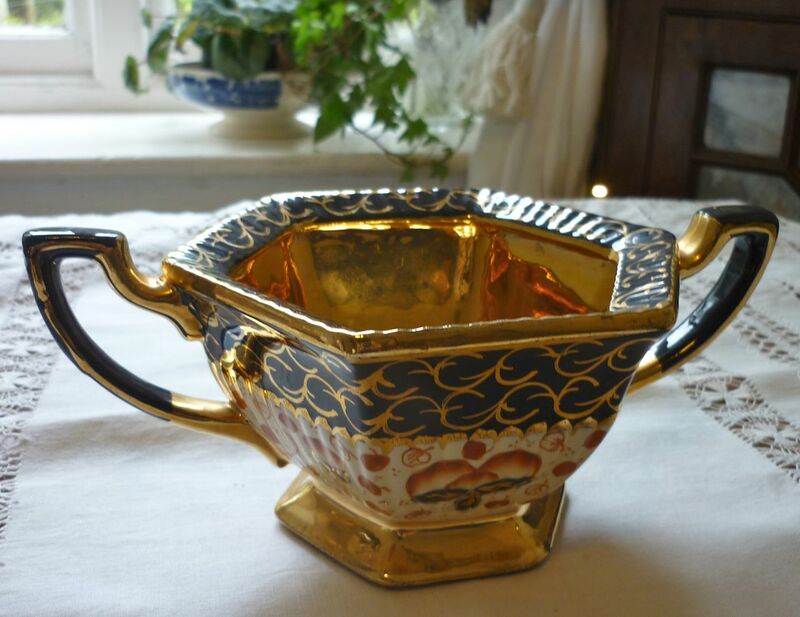 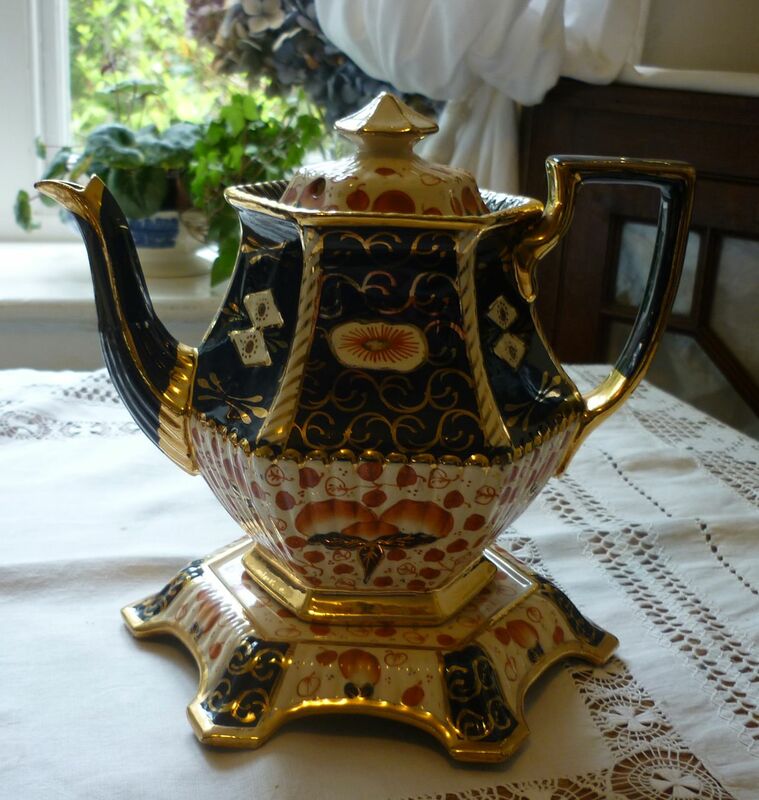 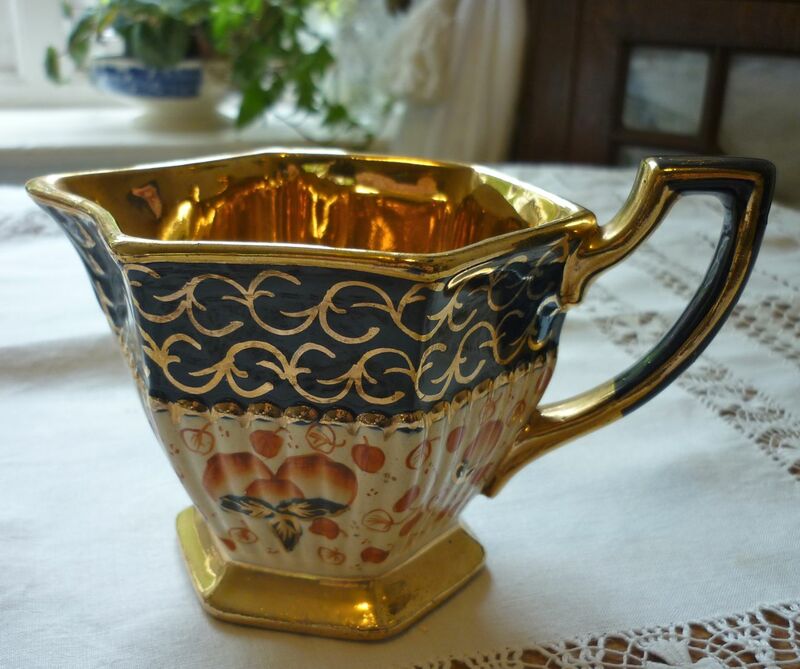 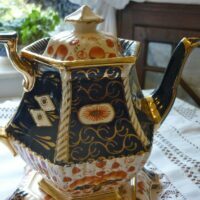 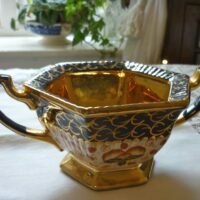 The vibrant colours combined with a lot of gilt and the wonderful shape all come together to make an impressive tea set. 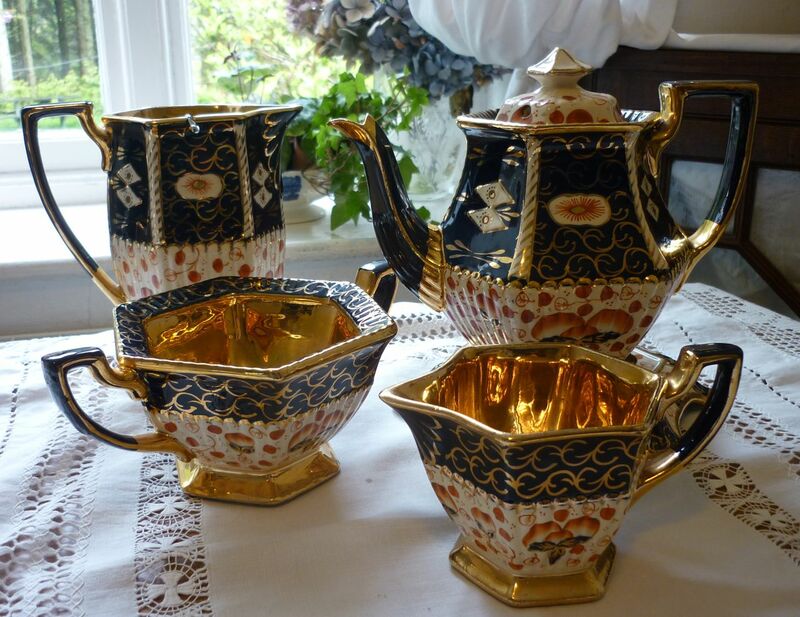 It can be used as an independent tea service, used together with separate cups and saucers.